Summer is well and truly underway as even a cursory peep out the window will tell you. It is certainly hotter and drier than it has been for long while. Lest we forget, last year we were bailing out tents and suffering wet and windy downpours. It seems hard to imagine now. The truth is, as a result and quite suddenly, our lifestyles are having to adapt. Most markedly this means a longer amount of time spent enjoying an outdoor lifestyle, perhaps in the garden or patio, eating and drinking and socialising. We're heading for the parks, countryside or the coast more and seeking out the refreshing cool of water, on our version of the Mediterranean or Californian coast, heading out to Weston, Wales or further down into the West Country. All of which means ‘alfresco’ (Al fresco - in the open air) eating is becoming the norm. But who wants to spend hours preparing a picnic in the kitchen, packing everything except the sink and lugging it to our destination? Make picnics light and easy by choosing simple things that work well together and minimize all the fuss and bother (not to mention less rubbish). Cheese and Wine - the perfect partners! 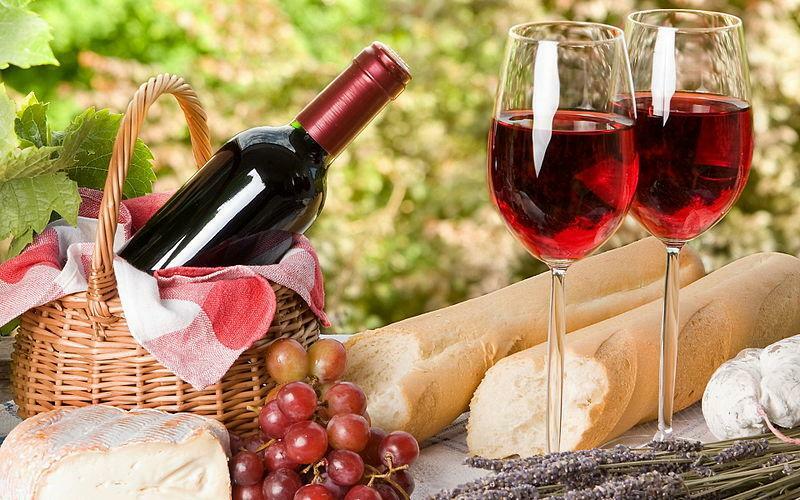 A basic wine and cheese picnic ticks all the satisfaction boxes and even adds a note of luxury to the adventure. Well, it’s a little more out there than a hard boiled egg, cress sandwich and a few warm crisps! Take cheese and wine down to the bare essentials and what more do you need than a baguette, some tasty cheese and a bottle of something to accompany it with? Of course here in Cheddar land we would advocate a portion of some of our scrummy Vintage or Cave Matured Cheddar. Oak smoked cheddar is also a firm picnic favourite. Our smallest picnic hampers come with Red Onion and Tomato and Cider and Garlic although you could in fact, choose any portion you like. Along with the cheddar, why not a brie? Perhaps some blue would make an excellent trio. Of course it’s up to you. 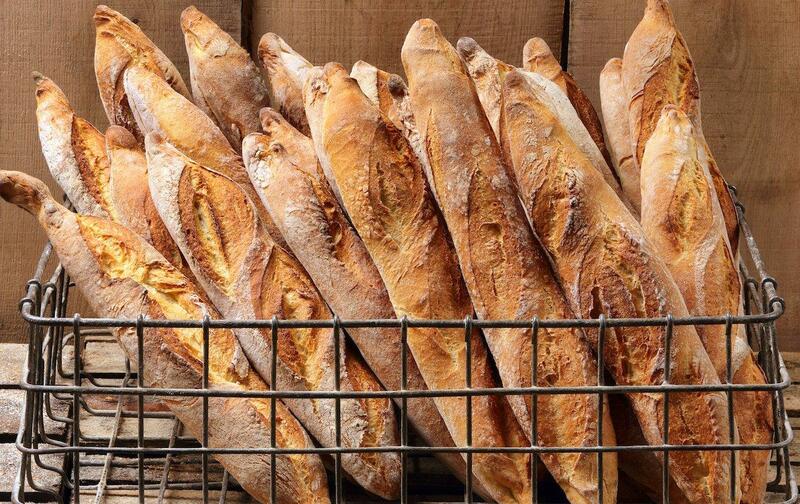 As for the bread, choose a good baguette that has a crusty crunch and a lovely soft and chewy inside although surely any good artisan loaf will hit the spot. As for the wine - it seems that everybody has their opinion on what suits different types of cheese. But bold flavours and sharp cool wines that are big on the acidity, accompany a good rich cheese so well. So let's hear it for the Pinot’s, Noir and Gris. Try a juicy and zesty rose or a soothing Zinfandel. The dry citrusy notes of a Sauvignon Blanc also hit the spot. Heading out of town and a river running close by? Take a tip from Ernest Hemingway who suspended his white wine in the cool of the river while working up a thirst! 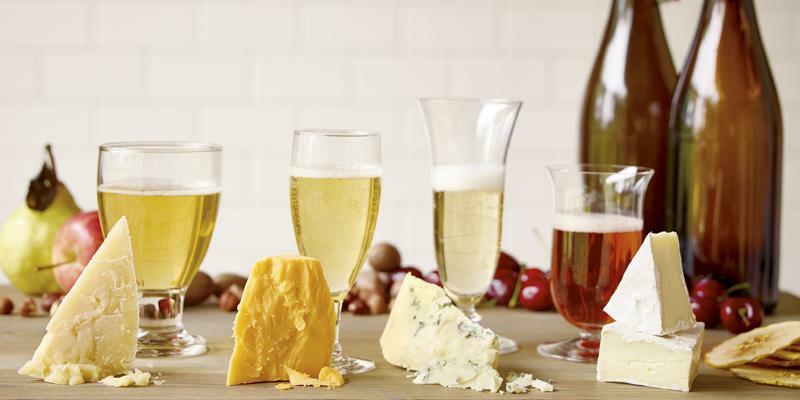 Lest we forget, here in Cider Country, we have beautiful zesty craft ciders that make perfect partners for our lovely cheeses. You might like some butter, a pickle or two but why complicate it? Some crackers add a nice crunch. Summer fruit is the way to go for a sweet finish. Grapes, cherries in season though try and avoid fruit that is too soft or likely to dissolve into a sticky mess before you get around to cleansing the palate. Take an insulated cool box with you complete with ice packs to keep everything nice and cool. Or how about this handy tip? Freeze up your juice cartons or plastic water bottles. They’ll make great ice packs and be the perfect temperature when you arrive at your chosen spot. Whatever you do and wherever you go, have a wonderful adventure accompanied by a delicious, easy to prepare picnic. What better way to enjoy a glorious summer in our magnificent countryside!